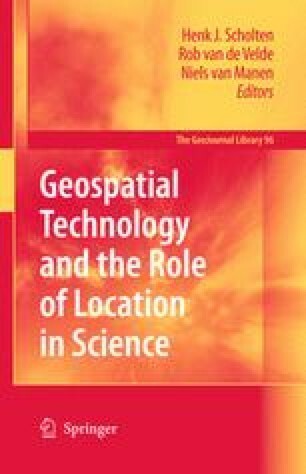 This chapter describes a strategy for the national dissemination of spatial analytic methods for research and teaching in the social sciences in the United States developed by the Center for Spatially Integrated Social Science (CSISS). The strategy was based around a set of key programmes: residential workshops that trained hundreds of scholars in geographical information systems (GIS), cartographic visualisation and spatial statistics; the development of exploratory spatial data analysis tools for spatial econometric studies; symposia for advancing new initiatives for advancing spatial methodologies and applications in the social sciences; and publications that highlighted best practices for spatial thinking. Through the work of CSISS and other organisations, by 2008 there was a significant growth in interest among the social sciences in spatial reasoning. The lessons learned from the experiences of CSISS offer guidance on broad-based dissemination efforts across disciplines and for future initiatives on the basic concepts of spatial thinking. A suggested set of concepts is proposed as a basis for augmenting knowledge in diverse fields through applications of spatial thinking and methodologies. de Smith, M. J., Goodchild, M. F., and Longley, P. A., (2006). Geospatial Analysis: A Comprehensive Guide to Principles, Techniques, and Software Tools. Leicester, UK: The Winchelsea Press, Troubador Publishing, Ltd. (a pdf e-book at www.spatial-literacy.org). Wilson, R. E. (2007). The impact of software on crime mapping: An introduction to a special journal issue of social science computing review on crime mapping. Social Science Computer Review 25: 135–142. Available online at http://ssc.sagepub.com/cgi/content/abstract/25/2/135.